The UK’s leading authority in Italian spirits, Giuseppe Gallo, has announced the launch of ITALICUS – Rosolio di Bergamotto in an exclusive portfolio of on-trade accounts. Capitalising on the worldwide trend of aperitivo, Giuseppe has selected London, Milan and New York City to lead the global revival of Rosolio with the launch of his brand new liquid, – ITALICUS – a modern take on this forgotten category. Remaining faithful to the historic origins of Rosolio, the original Italian aperitivo once enjoyed by the King of Savoy, ITALICUS has been in development for almost a year and is masterfully created using a recipe which dates back to the late 1800s. So popular was Rosolio in the 19th Century that each of Italy’s regions had their own distinctive variations – enjoyed as the aperitivo of the people. 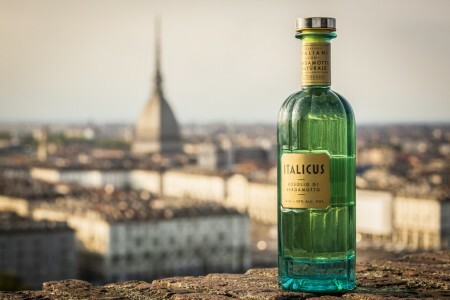 Championing the humble bergamot fruit, ITALICUS is produced at a family-owned distillery established in 1906 in Moncalieri, Torino. Bergamot from the UNESCO-protected area in the Calabrian region and cedro from Sicilia are infused in cold water to release their essential oils, in a time honoured process called Sfumatura, before being blended with Italian neutral grain spirit. A delicate combination of Roman chamomile from Lazio, lavender, gentian, yellow roses and melissa balm from Northern Italy are then rested macerated together for several days before being married with the bergamot and cedro essential oils to create the final liquid. “ITALICUS is personal to me as I’ve introduced elements of my own family’s recipes that go back many generations. Over the past few years I have sourced some of the finest ingredients that my beloved Italy has to offer, including the unique taste of cedri from Sicilia and of course the wonderful bergamot from Calabria, which I believe is the next trendy flavour in the cocktail world. ITALICUS is lightly floral citrus on the nose with hints of rose and lavender. On the palate, fresh tones of ripe citrus fruits are balanced with a light bitter and floral spice before giving way to a complex and long lasting finish. ITALICUS’ unique bottle, designed by award-winning creative agency Stranger & Stranger, pays tribute to Italy’s exquisite history and heritage, as well as the incredible native flavours found across the country’s 20 regions. The iconic stopper features a renaissance style Bacchus harvesting bergamot and is framed by the shape of a bergamot fruit cross-sectioned. The black and white surround colouring of the cap is inspired by Italian gothic architecture, while the colour of the glass is inspired by the Grotta Azzura in Capri and the clear waters of the Amalfi Coast; where Giuseppe spent his childhood peeling fruit beneath bergamot trees to make Rosolio with his mother. The logo, presented as an icon on top of the stopper depicts Bacchus posed like Leonardo da Vinci’s Virtuvian man harvesting local bergamot, encompassed by the irregular shape of the fruit – referencing Rosolio’s renaissance credentials. Every element of the bottle design has been curated to encapsulate the stripped back elegance and charm of Italy. Rowan Miller, Design Director, Stranger & Stranger comments, “From the initial briefing it was clear we needed to create something authentic and iconic to evoke the essence, elegance and charm of Italy. ITALICUS is a multifaceted product, not about one place or one period. So we encompassed this nature through the design: we use a colour palette that evokes the Mediterranean; blue glass blends with yellow liquid creating an aqua marine of the Amalfi coast; the green hues of bergamot and lush landscape set against the gold of an Italian sun. Just as an Italian cathedral is filled with many different styles from different eras, our final pack design is a balanced mix of Italian harmony and beauty. 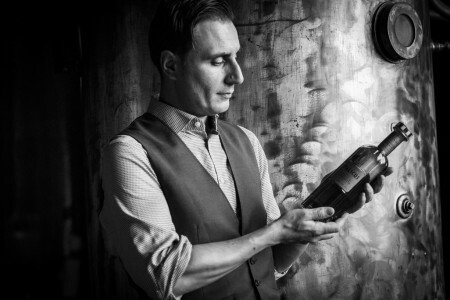 Hi there — I’m the spirits and cocktails writer for the Washington Post, trying to find out more about Italicus and see about where I can find a bottle. I reached out to Giuseppe via Facebook but thought I’d try here too. Thanks!